Fill warm water into your sink. Add baby shampoo or hair conditioner (two tbsp). Soak the clothes for 30 min in the water. Wring out and lay the fabric. Pin and fix the edges of your clothing to unshrink it even more. Laundry is simple enough in theory. Put your clothes into the machine, add soap, and take them out clean. But the wrong detergent, wrong temperature, or even getting your clothes wet can all result in adverse effects. These can range from colors running and bleeding, to clothes that no longer fit. It’s best to avoid damaging your clothes, but here’s how to unshrink clothes if they’ve already shrunk. Properly washing and drying your clothes can prevent most, if not all, shrinkage. How much your clothes shrink depend on the fabric and your laundry method. Heat is the number one culprit of shrinking clothes. 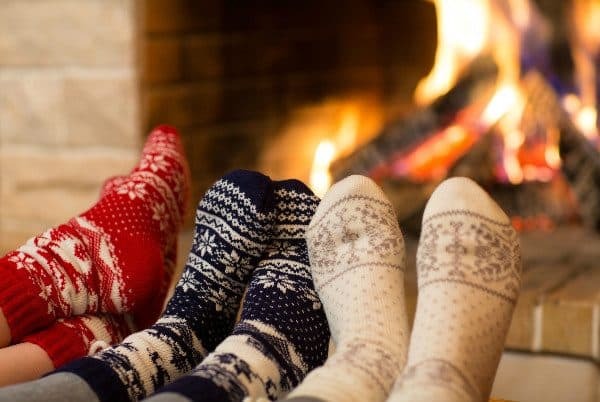 The heat from the dryer (and possibly if you wash your clothes in hot water) can cause your clothing to change size, especially with natural fabrics like cotton. When manufacturers create cotton clothing, they tighten the threads during the weaving process. Heat loosens the threads and relaxes the material, so the garment shrinks in size. Looser woven fabrics are more likely to shrink, as they’ve been stretched to the limit but have more room to contract when exposed to heat or water. 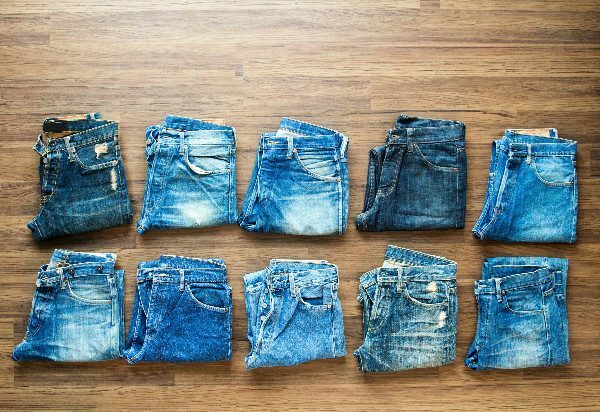 Heavier, tighter weaves like denim and twill are less likely to shrink. Another reason for shrinkage is the agitation your clothing gets in the washer. Garments get banged around and twisted and pulled, and that can get your clothes out of shape. Agitation causes shrinking with animal-based fabrics like wool and cashmere. Clothing made of wool has tiny scales, like roof shingles. 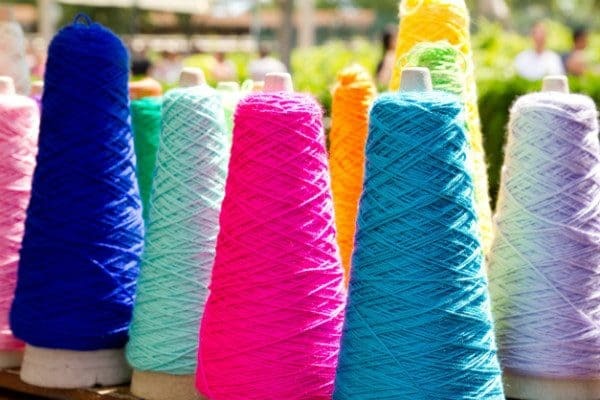 When agitated, they hang on each other and draw the fabric up into a bundle, also pulling the fibers closer together and resulting in a shrunken sweater. To prevent shrinking from heat or agitation, wash your clothes in cold water or hand wash them, and keep them out of the dryer. Air drying, either laid flat or hung, is best. The best way to prevent your clothing from shrinking is to follow the instructions on the label carefully, keeping in mind what shrinks clothes. You can also keep this in mind when buying clothes, such as purchasing items that are shrink-resistant, preshrunk, or with fabric blends that are less likely to shrink. Clothing that is ‘preshrunk’ means that manufacturers shrunk the fibers or fabric before crafting the garment, so they are less liable to shrink again. Imagine this: you’ve just finished doing your laundry. You’re pulling your clothes out of the dryer and gearing up to fold them when you hold one of them up. Maybe it’s a pair of pants, or maybe it’s a new shirt. Whatever the case, you discover that during its time in the dryer, the garment is a couple of sizes smaller than it was when you put it in. Clothes are expensive nowadays. The last thing you want to do is toss it and have to buy another. So what’s the alternative? Can you repurpose it, or give it to someone? Maybe you could unshrink it. 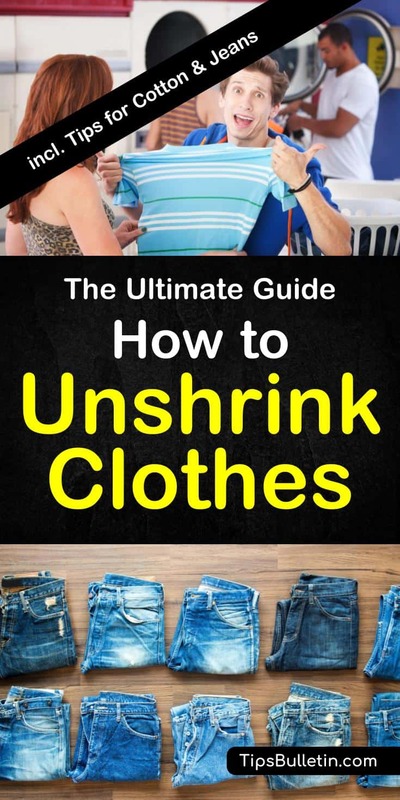 Can you even unshrink your clothes? Yes, You can unshrink clothes. In many cases, you’re not unshrinking clothes; you’re stretching them out to their former fit. Generally speaking, what the dryer has done is increase the tightness of the weave in the garment. What you’re going to be doing is the reverse: you’re going to be stretching the fabric out until it’s (hopefully) gone back to its original size and shape. If your cotton shirt shrunk, you’re in luck. It’s very easy to manipulate this back into shape in only a few steps. Fill your sink with room temperature/warm water. Add 2 tablespoons hair conditioner or baby shampoo. Drain the sink and wring out the fabric. Lay out the garment and pin the edges. Fill your sink with room temperature or lukewarm water, and add a couple of tablespoons of hair conditioner or baby shampoo. Soak your article of clothing in the water for about half an hour, working it into the fabric. Drain the water and wring it out of your shirt without rinsing. Try to get it as dry as possible. Lay your article of clothing out flat on a towel and roll it up, removing as much excess water as possible. You want it still damp, but almost dry. Unroll the towel and lay your garment flat. Gently stretch out your clothing and pin down the edges either with heavy objects or safety pins. Let air dry, either flat or hung up pinned in place. Drying should return your clothing to its regular size. If you can still wear your jeans, fill your bathtub with warm water. Put the jeans on and fasten them if possible. Sit in the bath for a little while until the fabric is sufficiently soaked. Fasten them while in the bathtub if you can. Wear the jeans in the tub for about 15 minutes. Squeeze the water out of the jeans. Wear the jeans for about an hour. Walk around, squat, lunge, etc. Drain the tub and squeeze as much water out of the jeans as possible. 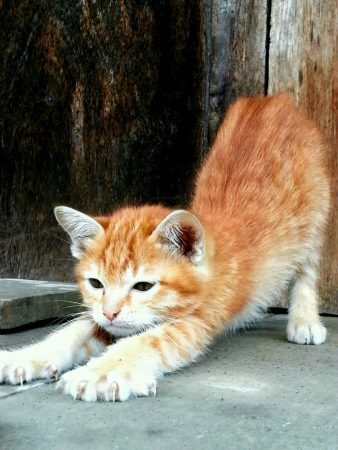 Then wear the damp jeans for about an hour, moving, lunging and squatting to stretch out the denim. After an hour, take the jeans off and hang to dry, letting gravity stretch them further. If you can’t put on the jeans or don’t wish to sit in a bath wearing them, you can soak them in a sink filled with warm water instead, and put them on while damp afterward. Follow the rest of the directions above. If you are not able to fasten them at any time during the stretching process, they may not be able to return to their former size. This method is similar to cotton but with different materials. Fill your sink with lukewarm water but add vinegar or Borax to the water (1 to 2 tablespoons per quart of water). Soak your garment in the water, working it into the fabric, and stretch it while soaking. Squeeze as much water out of the fabric as possible but again, do not rinse. Instead of rolling the garment in towels, use towels to stuff it inside until it is close to original size. Make sure the silhouette is as smooth as possible. With the towels inside, shake and stretch the garment as much as possible. Hang to dry. You can also lay the garment out on a towel and stretch it, but it may not stretch as much as possible. You’ll notice that with rayon, the steps to unshrink garments is largely the same as they are with cotton, with one fundamental difference: you’re not wringing it dry. Rayon is a delicate fabric so wringing it will be a bit too rough on your clothes (this is also partly why the tags warn away from drying it in the dryer, but the biggest reason you want to air dry is that the heat from the dryer is likely to cause shrinkage). Polyester works the same way as well. Start by adding shampoo or hair conditioner to a large basin or bowl. How much you add depends on how much water you’re using — you’ll want to use 1 tablespoon of shampoo/conditioner per 1 quart of water. Rayon is a synthetic fiber, meaning it has a tighter weave than material like wool, and the shampoo helps the fibers relax. Next, stick your garment into the bowl and let it sit for 15 to 20 minutes. When the time is up, remove the clothing and gently squeeze it dry, but avoid wringing. With the garment still damp, stretch it out to its original shape. If you’re finding that the material is still too stiff, use steam (i.e. a steamer, or the steam from an iron) to help soften and relax the fibers. Consider using pins or heavy (water resistant) items to make sure the garment maintains its shape during the drying process. Finish off the garment by allowing it to air dry. Keep it out of the drying machine, or it will just go back to its shrunken shape. Just to reiterate, the best way to avoid having to stretch out your clothes is to care for them correctly in the first place. Pay close attention to tags when you first purchase your clothing to make sure you understand how you’re supposed to clean the fabric. In this article, we’ve answered the question: “can you unshrink clothes?”. Gone are the days of throwing out or giving away your shrunken clothes. You have step-by-step instructions on how to stretch out garments (cotton, polyester, rayon) and the tools you’ll need to do so. Do you have a friend that needs to know how to stretch out a cotton shirt or return a wool sweater to its former glory? Share to Facebook, Twitter, and Pinterest using the buttons below!